Our highly skilled Mobile Sharpening Technicians offer mobile Knife sharpening services to Enthusiast Cooks as well as Professional Chefs. As a quality service provider we have experience in providing Knife sharpening services for brands such as Global, IO Shen, Kai Shun, Kasumi, Henckels, Sabatier, Wusthof, MAC and Robert Welch Knives. 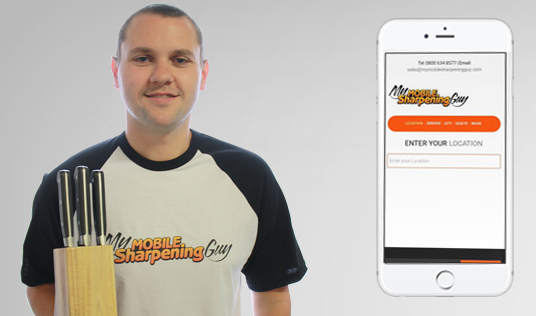 Once you fill out a booking request on our site My Mobile Sharpening Guy will notify a Sharpening Technician in real time who will be in contact to discuss your requirements, and if requested will set you up with an appointment. Click below to see what services are available in your area. Copyright © My Mobile Sharpening Guy. All Rights Reserved.